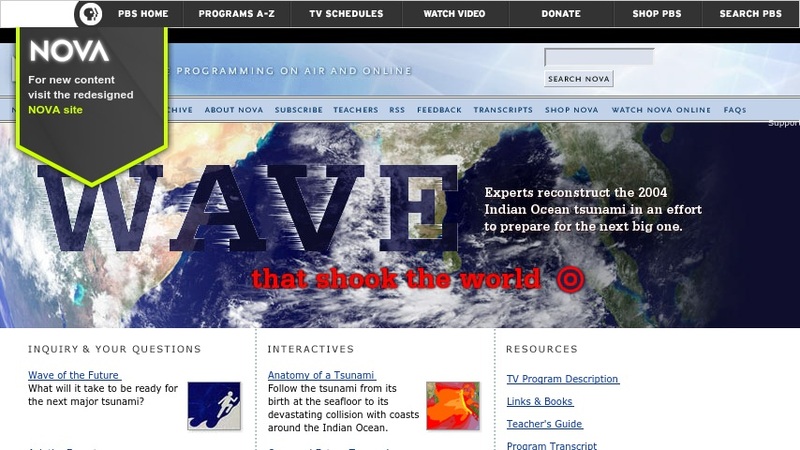 This NOVA website addresses the tsunami disaster that occurred in December 2004 in the Indian Ocean. Users can learn about the warning system in place in the Pacific Ocean and both the need for and difficulties of setting up a similar system in the Indian Ocean. Through an animated module, visitors can discover the tsunami's path, speed, wave height, and its changes in characteristics once it collided with land. The website presents summaries of past, disastrous tsunamis as well as locations of predicted future occurrences. With its enlightening materials, this website educates individuals, not just about the recent disaster, but also about the creation of tsunamis and plate tectonics as a whole.